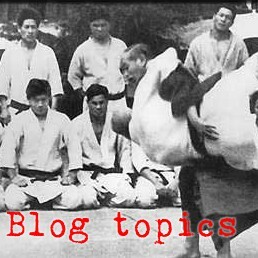 Continuing my series on specifically where is the kuzushi found in our judo throws - our third technique that we teach beginners is hizaguruma - the knee wheel. But first a tangent - coming up thru the ranks, we had the hardest time EVER getting hizaguruma to work. And my instructor at the time was not much better than we were at the thing. We asked him one time "why is this thing taught so early when it is so damned hard to make work?" and he made up some nonsense about how it was taught as the first thing so that by the time you get a black belt you will have had sufficient practice to (maybe) make it work. Let me state in an unqualified way, that is B.S. This thing is taught early because it is both basic and foundational (it is a great early example of the guruma concept). It is not difficult to throw - in fact my yellow belts tend to throw it regularly for ippon in shiai and it is often their favorite throw. We used to have a hard time with it simply because we were throwing it with the wrong mechanics and the wrong timing. We teach hiza as a backup plan for a failed deashibarai. Tori sails in and tries to sweep your front foot but can't get it to move. So he places his sweeping foot on the line of uke's feet facing both of uke's feet, and immediately uses his other foot to block uke's back knee as he tilts uke into the hole. So where is the offbalance in hizaguruma? Timing - after an attempted deashi when uke's front foot is weightbearing. Tori has made a tiny round-the-corner step and uke's back foot is just about to move forward. Direction - Uke's posture crumbles into the hole between his feet - 90 degrees to the line of his feet. 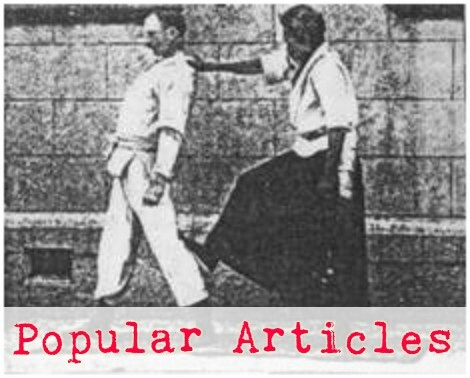 Unintended action - uke had intended to step forward with his back foot to face tori, just like in kosotogari. Instead his step was blocked at the knee and his intention and momentum carried him into the hole.